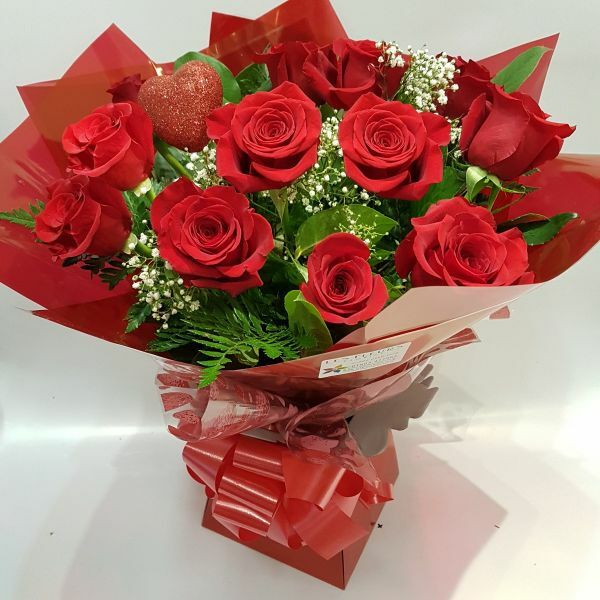 These wonderful Red roses are one of our most popular choices for Valentine's Day. Twelve fabulous roses beautifully wrapped with a complimentary selection of foliages and gypsophila and co-ordinating giftwrapping. We typically offer Rhodos or Freedom rose varieties for this romantic display.